“Want to see the title of your book in the media? And want that coverage to help you sell copies? Read this book. Whether you are an author who is using a publicist or working directly with the press, you’ll learn how to pitch the right angle at the right time…and why that’s essential. The media is hungry, but only for good stories. 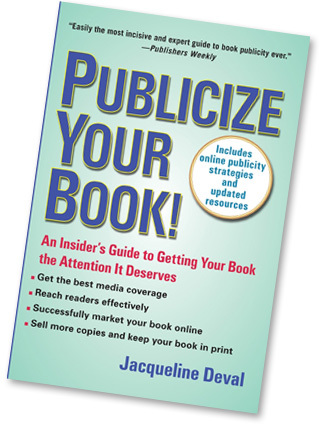 PUBLICIZE YOUR BOOK! covers all the publicity essentials.” – Ellen Levine, editorial director, Hearst Magazines.